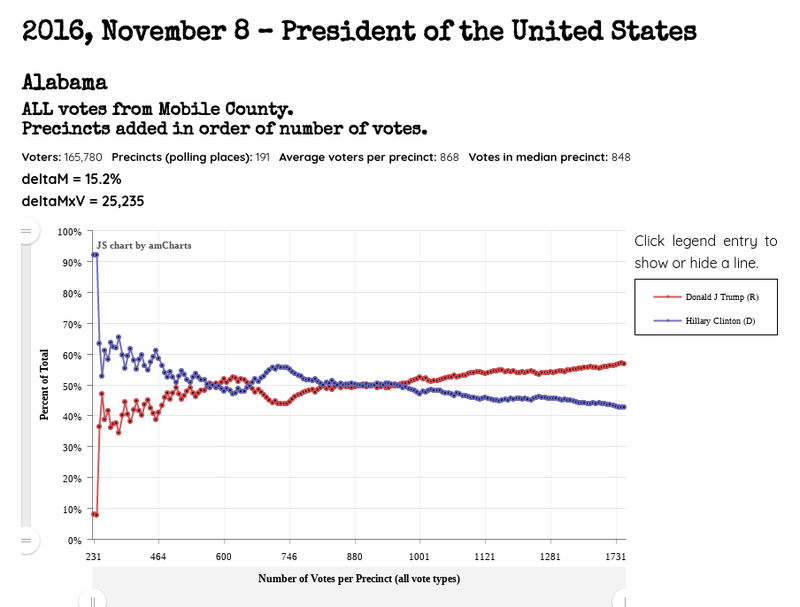 Our analysis of the 2016 Presidential Race in Alabama reveals that 4 of its 5 largest counties show a very strong “red shift”, meaning the Republican share of the vote increases when votes are totaled from smallest to largest precinct. 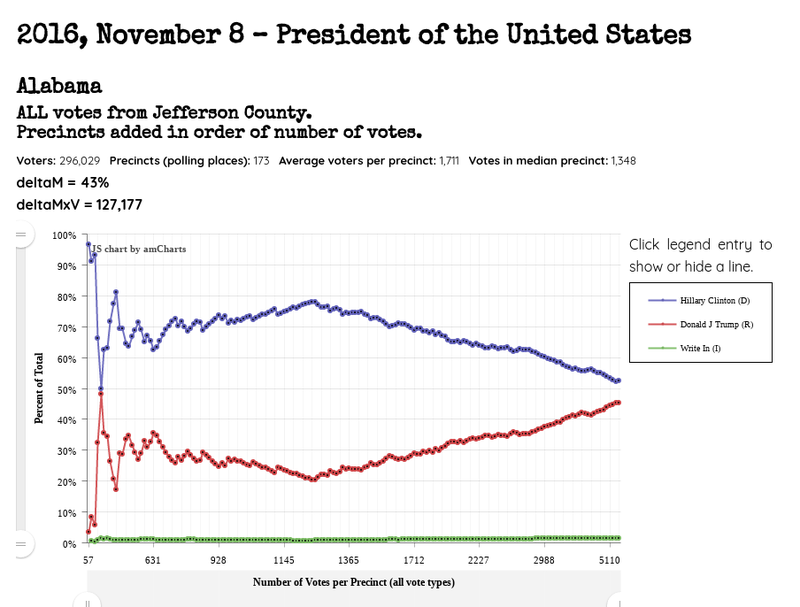 As explained on our home page, an election should normally obey the law of large numbers fairly well, unless there is a strong reason for people in larger precincts to vote one way rather than another. 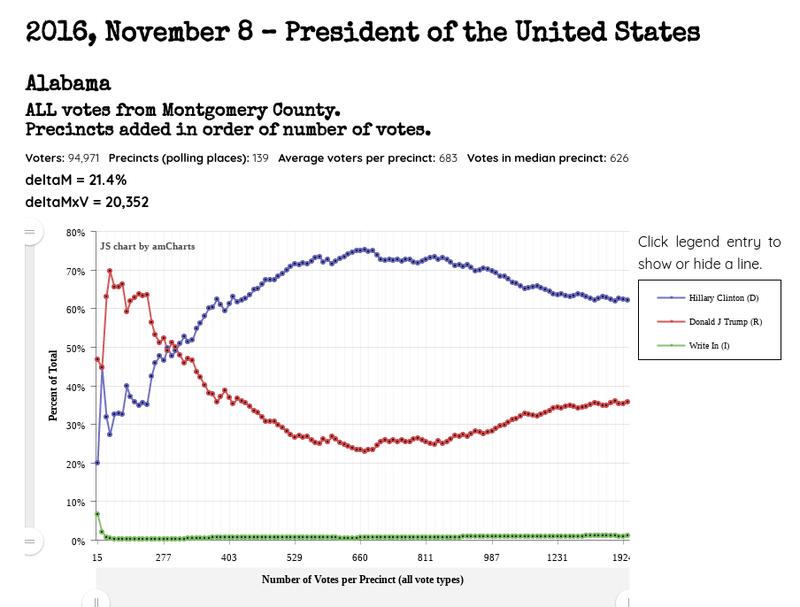 This type of analysis is known as a Cumulative Vote Analysis (CVA) or Cumulative Vote Total (CVT). 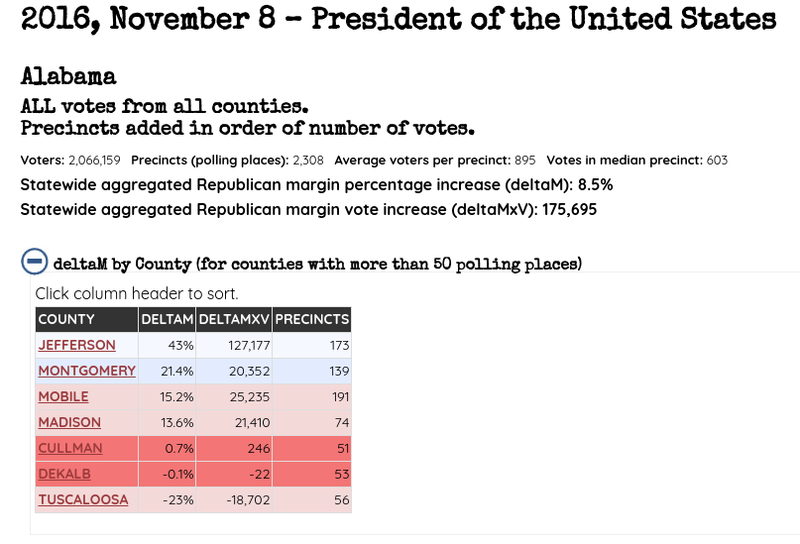 Here are the “deltaM” values for all Alabama counties, along with an estimate of the number of votes “flipped” (deltaMxV) in each county. 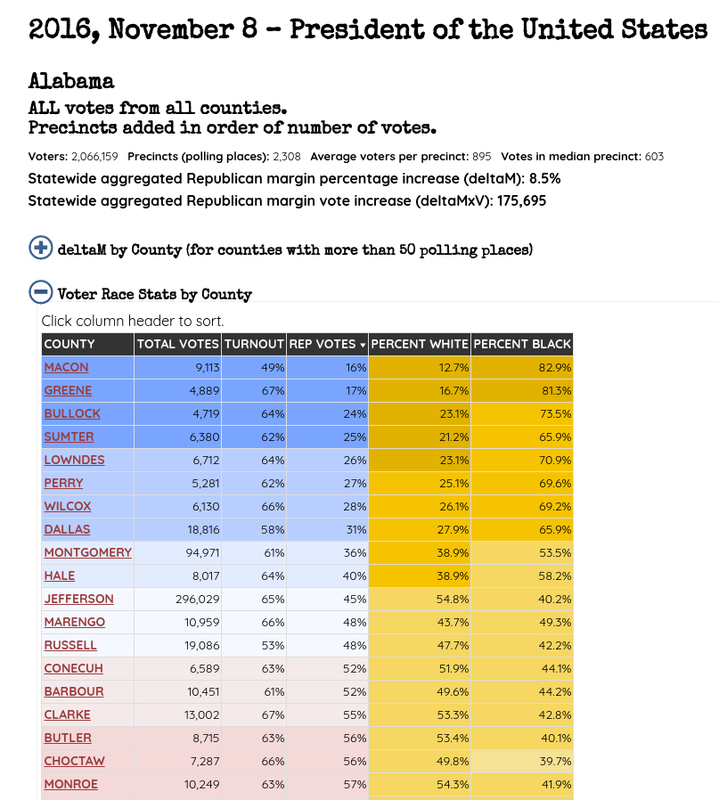 The only county showing a strong negative deltaM is Tuscaloosa. 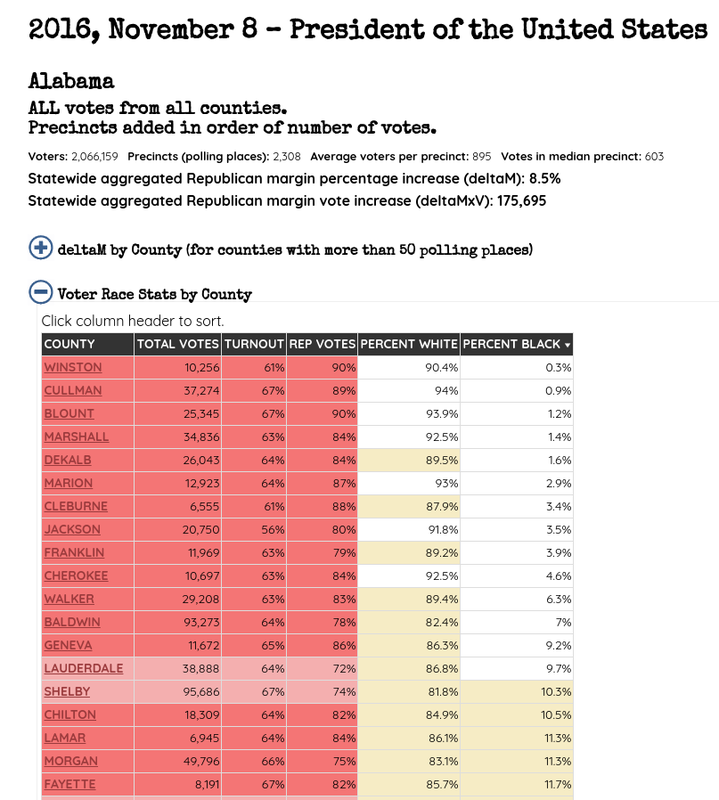 While Alabama does not publish voter registration statistics by political party, it does publish the percentage of registered voters in each county by stated race. 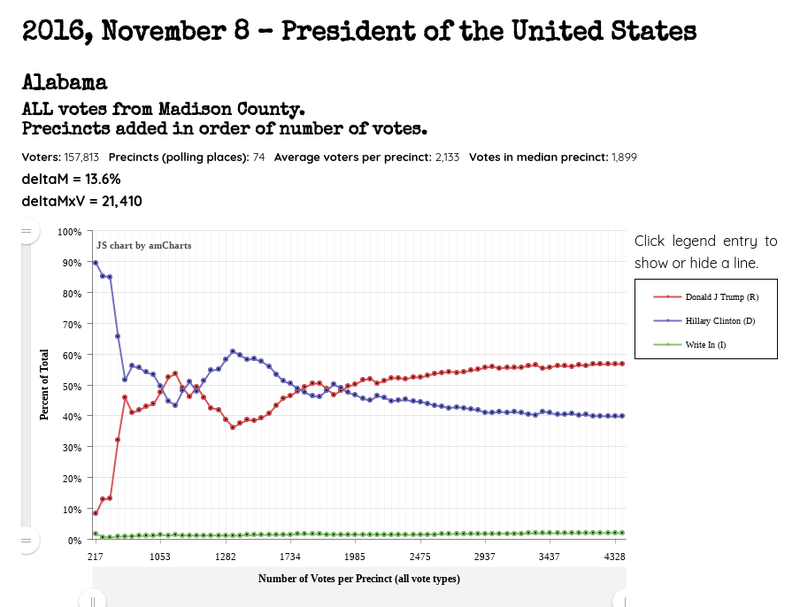 We compared the race data to the vote data county by county and found an extremely strong parallel between the percentage of voters identifying as white/Caucasian and the percentage of voters who voted for Trump. The implication here is that a great preponderance of white Alabama voters voted for Trump. © 2017 - 2019 by Saill White. All rights reserved.